Up and coming alt-country rockers Lansdowne have spent the past two years relentlessly touring in support of their debut album, Blue Collar Revolver. 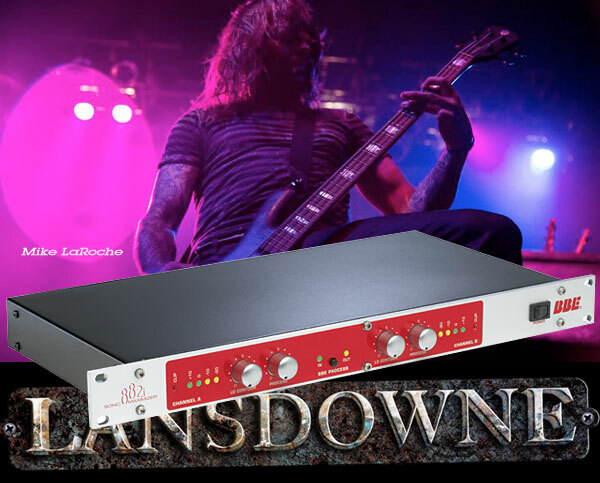 The band includes vocalist Jon Ricci, drummer Glenn Mungo, guitarist Josh Waterman, guitarist Joey Ariemma and bassist Mike LaRoche who told us that BBE Sonic Max technology is used every night on the road with Lansdowne, and on every recording session! Lansdowne have released their widely anticipated follow-up, No Home But The Road. The six-song EP was produced by Mike Watts and features five new tracks and a re-recorded version of "One Shot," from their debut, as the first single. The 882i Sonic Maximizer is a dual-mono Sonic Maximizer that features our fourth generation processing engine and perfectly suited for any studio, PA system, guitar/bass rig or any application that requires balanced connectivity.